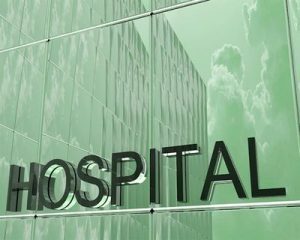 CHENNAI: The City will soon get another world class healthcare facility with quality care equipment as a United Kingdom-based Westminster Healthcare is going to invest Rs 125 crore in setting up of a new healthcare centre in Nungambakkam. The new healthcare centre will be equipped with the world-renowned doctors and best technology. The idea of project announced at the function where British Deputy High Commissioner to India Bharat Joshi said that the UK was looking to cement ties further with India and more investments were expected. According to the past data, between 2000 to 2016, the United Kingdom invested $24.07 billion in India – increasing its investment by $1.87 billion between 2015 and 2016 – representing eight per cent of all foreign direct investment (FDI) into the country. Why can\’t they invest in primary Health care . When it comes to India they project in a Bad light. If they are world class DOCTORS , why do they import/ invite DOCTORS from other parts of the world???……. especially from the subcontinent , that too from IÑNDIIYAA…..
Yenna solunge brother…….lungi Dance lungi Dance Angi witchy lungi Dance. Anna kude lungi Dance tambi kude lungi Dance.